Do you like spicy pasta dishes? Well, then I have the recipe for you! We love spicy in our house and honestly can't get enough of it! I frequently post "Buffalo Sauce" inspired dishes on my blog and here is another. What makes this dish so spicy is the combination of chipotle peppers and buffalo wing sauce. If you can handle the heat you will be in cheesy smoky and spicy heaven! (Of course you can adjust the amount of hot sauce and peppers to adjust to your taste) We sure were. It was the perfect balance of spicy and cheesy! 1/4 cup crumbled blue cheese, optional. Cook pasta to al dente. Set aside. While pasta is cooking whisk together milk and cream cheese until smooth. Once thickened add in the peppers and buffalo sauce. Let simmer 2-3 minutes. Next slowly whisk in the gouda and cheddar cheese. Toss in the bacon and macaroni and stir well. Top with blue cheese and green onions if desired. Enjoy! Buffalo Mac & Cheese, be still my heart. Sounds amazing. I love gouda, use it constantly. Can't wait to try this. Saw it on Foodie Friday, thanks for sharing. We would just love the Buffalo flavor with the Mac N Cheese. Thanks so much for sharing with Full Plate Thursday, it is so nice to have you with us today. Have a great weekend and come back soon! I bet this dish is so good!! Loving the addition of Smoked Gouda - definitely going to give this a shot. :) Thank you for sharing at #GetHimFed Fridays!! Nom Nom! Thank you for linking up to the Weekend re-Treat Link party! This looks great. 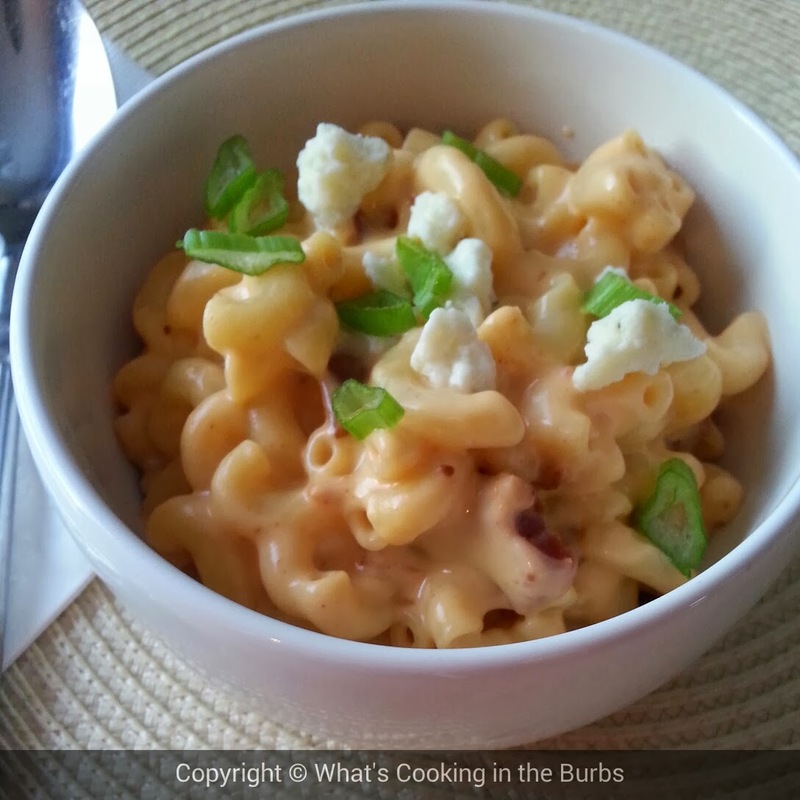 I add smoked gouda in my classic mac and cheese. Thanks for sharing this at the Let's Get Real Friday Link Party. I hope you'll join us again this week.